ConnectGov Leader Summit is a distinctive platform where thought leaders, government CIOs and corporate tech experts gather to exchange ideas, share perspectives and cogent insights. With a programme planned around highly-interactive sessions, candid discussions and intensive networking among select peers, attendees can expect valuable interactions that will spur new thinking and action on strategies and initiatives. The Summit’s key purpose is to promote engagement and collaboration among stakeholders with a view to influence and catalyse wider transformation. Through incisive conversations on key issues and shared concerns, the Summit aims to impart delegates with greater clarity and actionable paths to navigate uncertainties in these evolving times. The inaugural 2016 ConnectGov Leader Summit in Bhutan was a tremendous success, with participation from over 100 senior business and tech leaders from 15 countries (See Annex I). This year, delegates will be transported to Mongolia – “the land of blue sky“ where they can look forward to not only refreshing and energising their thinking in a singular setting, but also establishing meaningful new connections. Mongolia is truly one of the world’s last undiscovered destinations & one of the safest countries to visit. It is a land where you can experience wide-open spaces, cobalt blue skies, pristine forests, majestic deserts, crystal clear rivers & lakes, & the traditional hospitality of nomads. Permanent dwellings are few & far between with even fewer fences, & the land is owned by the people, like one large National Park. A tremendous destination for experiencing the outdoors, Mongolia also boasts a unique history dating back to the Mongol Empire of Genghis Khan. Ulaanbaatar, the capital, is the hub for trips to destinations within Mongolia. The city hosts the country’s only international airport while the single international rail line, the Trans- Siberian railway traverses the city from North to South. The main population centre where 1 million of Mongolia’s 2.8 million population lives, Ulaanbaatar is the country’s economic, cultural & political heart that also hosts a number of tourist attractions with varied types of entertainment. 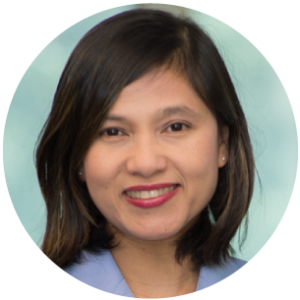 Shirin Hamid is the Principal Director (Chief Information Officer) of the Office of Information Systems and Technology of the Asian Development Bank (ADB) since 2016. Ms. Hamid is responsible for the organization’s IT digital transformation, operations and resources. Ms. Hamid, a Singapore national, has more than 20 years of working experience in the IT industry. She was most recently the Chief Technology Officer and Director of the Office of Information Systems and Technology in the United Nations Development Program (UNDP), a post she assumed in 2005, providing strategic direction and innovative stewardship in the use of information management and technology, and served as a principal advisor to senior management in areas of ICT strategies, governance, and global operations. Prior to that she was General Manager of IS/IT in Singapore-based Keppel Offshore and Marine and concurrently of its parent company, Keppel Corporation. 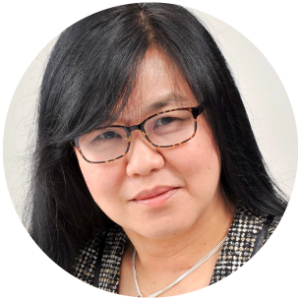 She also served as the Chief Technology Officer of TradeoneAsia where she formulated the company’s IT strategy, built its technology team and IT services including its core procurement and reverse auction strategic platform. 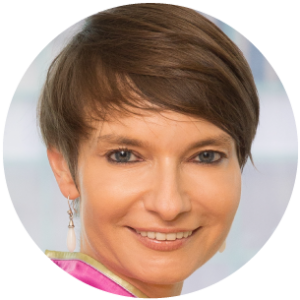 She provided her expertise at Deloitte Consulting in Boston and Singapore and at Andersen Consulting/Accenture. Ms. Hamid has a Master’s degree in Business Systems Analysis and Design from City University and a Bachelor’s degree in Computer Science from Coventry University both based in the United Kingdom. IT Department, Cabinet Secretariat of Government of Mongolia. 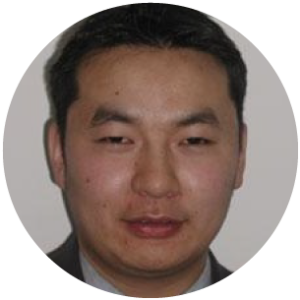 Davaa is the head of IT department, Cabinet Secretariat of Government of Mongolia and the leader of the Smart Government Project aims to enhance civic engagement, improve the overall framework for e-services delivery and develop a vibrant open data ecosystem in Mongolia. Apart from the e-government initiatives dial with, he is acting member at the Communication Regulation Commission of Mongolia, where most of the contemporary regulatory policies are being implemented including mobile, fixed, Internet, content regulations. Prior to joining the public service, Davaa has worked in telecom sector accruing the extensive list of experience in the leading large-scale telecom/ICT projects, such as SKYMEDIA, ITS, ITPark, WorldCall 002, SmartCard etc. He has graduated South Federal University in Russia and Chester University in the United Kingdom with the distinction award. MyRepublic GroupEugene is Chief Information Officer at MyRepublic Group. 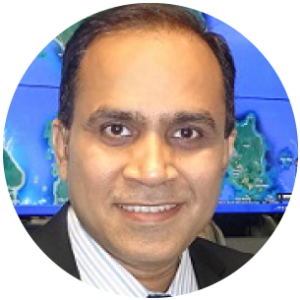 His primary focus is on driving customer centricity and operational efficiencies across regional operations of the company, through the use of innovative technology and efficient business processes.Combining his experience in enterprise software development with a deep understanding of ISP operations, he leads the development of customer-centric, agile OSS/BSS platforms and operational processes that allowed for the stratospheric growth of the company across the Asia-Pacific region.He is a regular keynote speaker at TM Forum events globally, and sits on advisory committees of various startups and educational institutions across the Asia-Pacific region. Robert Yap is the Executive Chairman of YCH Group, Singapore’s leading end-to-end supply chain management company with operations spanning across Asia Pacific. Over the last four decades, Robert has played a pivotal role in the logistics and supply chain management field, elevating Singapore’s hub competitiveness by incorporating ground-breaking technologiesintodeliveringnewandinnovationsupplychainsolutions. Hisvisiontranscendsthelinear concept of a chain to that of a supply chain ecosystem where one could Work, Learn and LiveTM. It is with this vision that he founded Singapore’s “mini Silicon Valley” – Supply Chain City®, Asia’s premier supply chain nerve centre which leverages the latest innovations to inspire and define new standards for supply chain excellence. He is also the Founder and Chairman of Y3 Technologies®, a leading information technology and supply chain solutions company, and the Founder and Chairman of Supply Chain Angels®, a fund dedicated to invest in supply chain related start-ups. 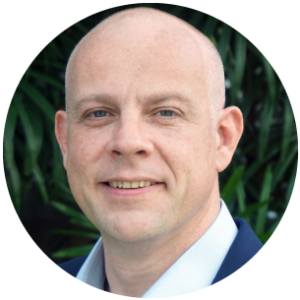 Robert founded the Supply Chain and Logistics Academy (SCALA®) to support the development of logistics and supply chain talent needs in the industry. 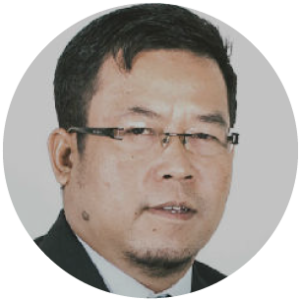 He is also the Founding Chairman of Supply Chain Asia®, a community of more than 45,000 supply chain professionals in the region. Recognised for his visionary leadership, Robert contributes as an advisor on numerous local and international platforms. Robert is President of the Singapore National Employers Federation, Deputy Chairman of IE Singapore, and the Chairman of the ASEAN Business Advisory Council Singapore. He contributes to the Joint Implementation Committee overseeing the Government-to-Government project in Chongqing, the Council for Skills, Innovation and Productivity, and the Committee on the Future Economy. The Hong Kong Jockey Club (HKJC) is one of the oldest institutions in Hong Kong and one of the world’s largest charity donors. Shih Hsien is responsible for the development of its information security (IS) strategies and governance. This covers policy framework development, enterprise technical architecture planning and solutioning, and business engagement and awareness. His team is also responsible for performing all project IS / data privacy risk assessments and mission-critical IS operations. 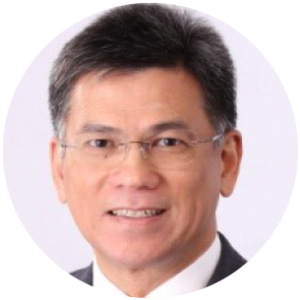 Shih Hsien started his professional career in the Singapore public sector in the 1990’s and has taken on key roles with the Infocomm Development Authority and Singapore Airlines. 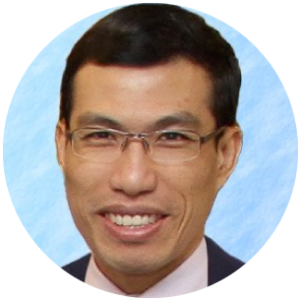 Prior to joining the HKJC, Shih Hsien was the Director of Identity & Security Services of MOH Holdings P/L, and was responsible for developing the security technical architecture, policies and operations frameworks for Singapore’s National Electronic Health Record (NEHR). 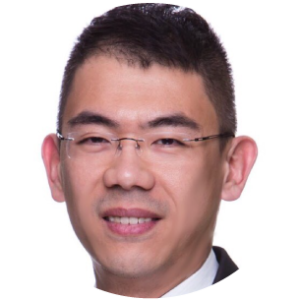 Michael Leung was appointed Chief Information & Operations Officer of China CITIC Bank International in December 2013. In this capacity, he manages the Bank’s information technology and banking operations, and at the same time serves as a key member of the Bank’s management team. Prior to his current position, Mr Leung had worked for over 30 years in leading international vendors, consulting firms and banks. Apart from being the President of HK Computer Society, Michael is also a Fellow of the HK Institute of Directors, an Exco Member of the HK Institute of Bankers, Chair of the IS Departmental Advisory Committee and an Adjunct Professor of City University, Chairman of the HK Down Syndrome Association, amongst others. SATS LtdPauline is the Senior Vice President, Technology of SATS Ltd. She is responsible for creating solutions to realise the Group’s strategy through the delivery of the technology roadmap for SATS which includes information technology, operations technology, process and product innovation. 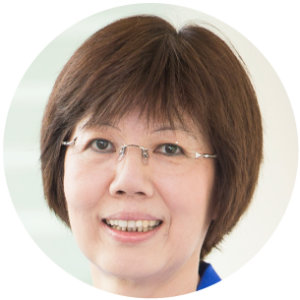 Prior to this, Pauline was the Senior Vice President, Group Information Technology of Neptune Orient Lines Limited and Senior Director, Government Chief Information Office at the Infocomm Development Authority of Singapore. She studied at the National University of Singapore and the Ross School of Business. 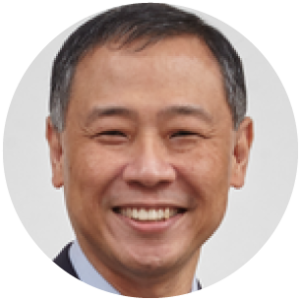 John Lee is currently serving as Global CIO for Commercial at GE Healthcare, where he is responsible for driving digital transformation across their commercial business functions & online digital customer experience. 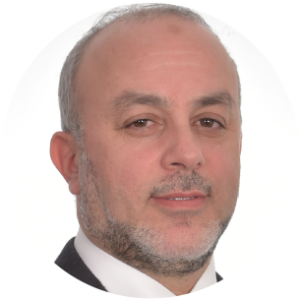 He has 30 years of experience in Information Technology & Digital Transformation, with more than 20 years based overseas in Europe & Asia. Previously, John has served as the CIO, Asia-Pacific at GE Healthcare, responsible for defining & executing systems strategy to support business operations & growth across the region. Concurrently, he also served as the GE Growth CIO for ASEAN, supporting growth initiatives across the broader GE industrial business base. John has also worked in number of other technology leadership roles at GE — earlier, as part of GE Healthcare’s Technology Services group, he was Chief Enterprise Architect based in the US, where he owned formulating & driving global technology strategy. And earlier, at GE’s Corporate Information Group, where he was responsible for driving key security and telecommunications programs for GE across the globe. Notably, in this capacity, John had a pioneering role in the development of infrastructure that currently supports GE’s massive off shore presence India today. Prior to this, John held a number of consulting positions at various multinational organizations including ICL (Hong Kong), Citibank (UK) and Ontario Hydro (Canada). Eric Sim aged 48 years old as Chief Information Officer in KPJ Healthcare Berhad since 01 January 2016. He previously was the Head of Software Development for the Healthcare and Clinical Information System since 2008. KPJ Healthcare Berhad is one of the leading hospital-networked with over 30 hospitals in domestic and international. As the new CIO, he is responsible for strategic planning, managing and governing the Corporate Information Technology at the group level that consist of 6 corporate divisions that lead the IT Services and its activities for all the KPJ hospitals and its subsidiaries. 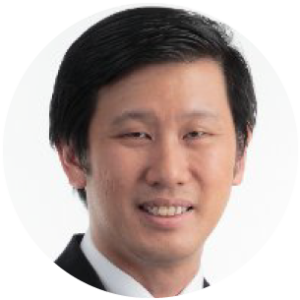 Eric Sim was instrumental in KPJ’s ongoing digital transformation, including consolidation and integration between Hospital Information System (KCIS and HITS) and shifting KPJ’s entire network onto cloud. KCIS and HITS re-development for the last 3 years and finally, deploying its 2nd generation product (KCIS2 and HITS2) to migrate onto cloud computing as a platform to improve integration between hospitals. Hence, greater opportunity to initiate the delivery of data warehousing and analytics for better decision and create business value. Moving forward for the next 10 years with a blueprint to emphasize on Shared Services model by optimizing service delivery for the entire group. He holds a Master in Business Management, major in Project Management from Asia e-University, Malaysia. He also holds several other qualifications, including Business Management from University Bolton, UK, Computer Science from NCC UK and University Portsmouth, UK, Financial Management from Institute Financial Accountants, UK and Electrical Engineering from City & Guilds, UK. Other professional qualifications include Information Technology Infrastructure Library (ITIL & ITSM), Certified Cisco Network Associate (CCNA), ISO 9002 and Six Sigma. 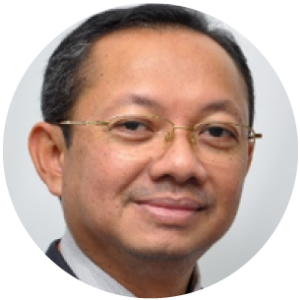 Dato Rais aged 52, has extensive exposure over 29 years in Telecommunication Industry and he is currently the Deputy Chief Technology & Innovation Officer (DCTIO) and Chief Information Security Officer (CISO), of Telekom Malaysia Berhad. He holds a Bachelor of Science (Computer Science) Degree from Indiana State University, USA. In addition to his position, he is responsible to strategize, formulate, direct and lead the implementation and operations of Information Security organization covering the Information Security Strategy, Architecture, Governance, Risk, Compliance, Development, Threat Intelligent and Operations in order to ensure the Confidentiality, Integrity and Availability of information assets protection for TM Group. 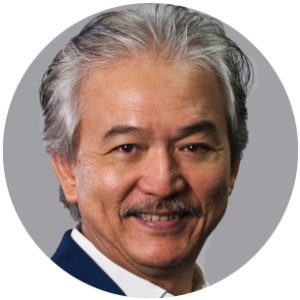 Dato Rais is also the Chairman of TM Technical Security Council and a board member of TM R&D as well as Malaysian Technical Standard Forum Berhad (MTSFB). Prior to his current position, he was appointed Vice President of Network Architecture and Technology, IT&NT in 2010 where he was responsible for formulating TM’s network architecture and strategic master plan in accordance with the guidelines and technology enhancement to support current and future customer’s requirement. Dato Rais was instrumental in various transformation projects in TM including the national High Speed Broadband project launched in March 2010, offering the 1st nationwide triple-play services. He was also one of the pioneer in establishing Corporate Information Superhighway (COINS) team, providing the first TM’s Frame Relay service in 1997. In the same year, he was awarded TM’s Best Manager of the Year. 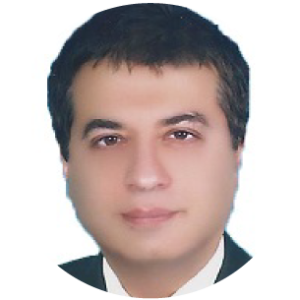 Dr. Sami has more than 20 years of experience in business operation, academia, consultancy and executive management, bringing in deep change and innovation in all aspects of executive IT: from Governance, Security and data platforms to cloud, Digitalization and AI. Dr. Sami has been engaged as well in major M&A and transformation programs spearheaded by technology and innovation. He came from Tunisia to Japan in 1994 and have living there since. Dr. Sami has been listed in 100 top CIO for 2017 as run by Computerworld.com. 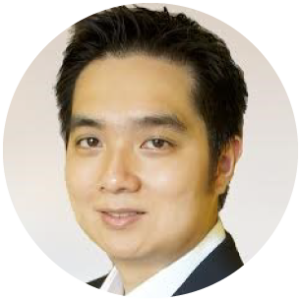 Kenneth Tan is the Chief Executive Officer of SISTIC.com, providing strategic vision, planning and operational leadership for the company. With an extensive background in IT, he was instrumental in the development and licensing of SISTIC’s proprietary ticketing system. Under his leadership, the company has become the leading ticketing system provider in the region. Kenneth holds a Computer Science Degree from the National University of Singapore and is a member of several ticketing associations. 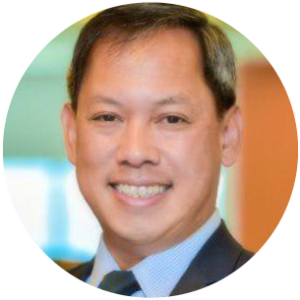 Gregory Sim is Executive Director, Group Information Security, for Standard Chartered Bank covering ASEAN and South Asia region. He is responsible for driving strategic risk mitigation programme and regulatory engagement initiatives, whilst providing security guidance and advisory to regional management team. Prior to that, he spent 20 years of his career in financial services sector specializing in information and cyber security over the last 14 years. He was most recently the Head of Information Security for Singapore Exchange (SGX), whilst his former employers include Merrill Lynch, Citigroup and CLSA. Outside his formal appointment, Gregory is active in numerous industry-level steering committees and he has also served as advisor under various tech companies’ Customer Advisory Board. He is one of the co-founders of World Federation of Exchanges (WFE) Global Exchange (GLEX) consortium which was commissioned in New York in 2014 to combat systemic cyber abuse in financial exchanges globally. Over the last 5 years, Gregory has spoken in numerous roundtable forums and panel discussions in Singapore, Thailand, US and Hong Kong that analyze and explore trends of cyber threats confronting financial industry. 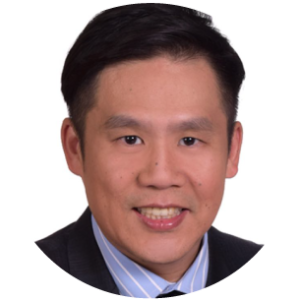 As a key member of Association of Banks in Singapore (ABS) Standing Committee on Cyber Security, he plays an instrumental role in providing thought leadership in fostering collaboration and partnerships, whilst strengthening cyber resiliency across financial services sector in Singapore. 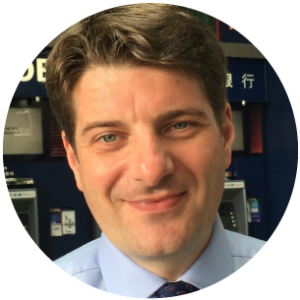 Nick Savvides is responsible for Symantec’s Cyber Security Strategy across Asia Pacific and Japan. In this role, Savvides’ charter is to provide local market insights that influence global strategic planning and product development. Savvides works also with organisations and governments to develop their cyber security strategies and solve complex business problems. 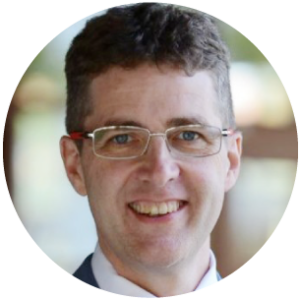 He has worked on some of the largest business information security projects in Australia, affecting the way many Australian’s interact with their employers, banks and governments. 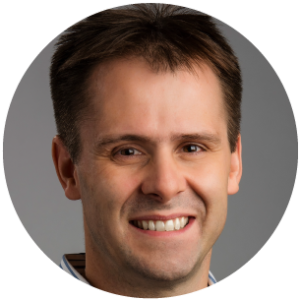 An information security expert, with more than 20 years’ experience, Savvides has spent the last 11 years at Symantec in various product and sales engineering roles. He has presented at more than 60 conferences, contributed to many high profile panel discussions and regularly appears in the media on cyber security related topics. 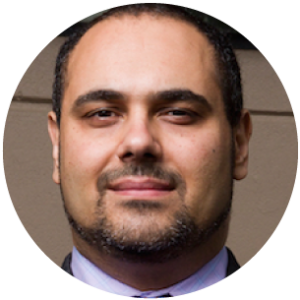 Prior to joining Symantec, Savvides worked for The University of Melbourne in various IT related roles. Most notably, Savvides managed the computing technologies at the Centre of Excellence for Quantum Computing and was responsible for developing nuclear microprobe analysis and diagnostic tools. Brendan O’Neill is the Director of IT Services at Seaco Global where he is responsible for the design and operation of their IT infrastructure and supporting services. This includes the development and execution of Seacos’ strategy for Cloud Computing, Global Network and Telecommunications. Over his career, he has held various positions in IT Management, Service Delivery, and Support. Currently studying for an MSc in Information System Management, Brendan is also an AWS Certified Solutions Architect and a PRINCE2 practitioner. 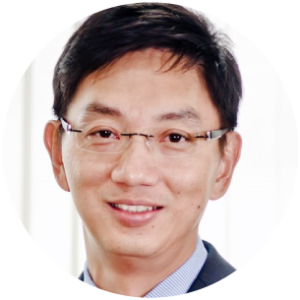 Mr William Liu or Bill as he is known, currently serves as the Chairman and Managing Partner of Stream Global Pte Ltd, a venture catalyst in the ICT and IDM space. From 2001 to 2006 he was President of Green Dot Capital Pte Ltd, a Temasek owned company, which invested in start-up and early stage companies, globally. It was also the holding company of Singapore Computer Systems Ltd and SNP Corporation Ltd, both were listed on the Singapore Stock Exchange. 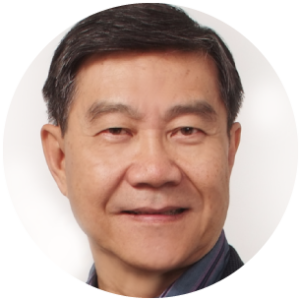 Prior to joining Green Dot Capital, Mr Liu was from 1993 to 2001, the President & CEO of ABACUS International, Asia’s premier Global Distribution Systems (GDS) and Computer Reservations Systems (CRS) company and a joint venture company with Sabre, Inc of USA. Bill was responsible for its operations and profitable growth that spanned 20 countries in the Asia Pacific. 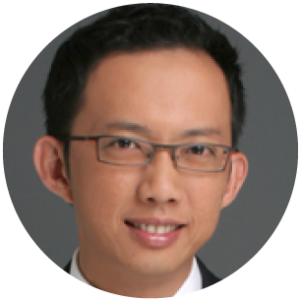 Vincent Goh is Vice President of Sales, Asia Pacific & Japan at CyberArk. 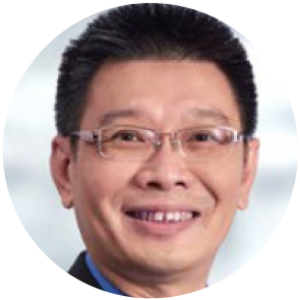 Goh leads the sales and channels teams, and is responsible for driving CyberArk’s growing customer base and channels across the region. 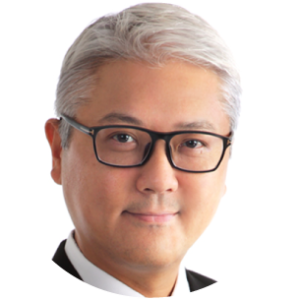 Prior to joining CyberArk, Goh was Vice President, Asia Pacific & Japan for RSA, The Security Division of EMC for more than five years. In addition to accelerating growth for the various business portfolios within RSA, he chartered the transformation of RSA from an authentication-focused business to an intelligence-driven-security provider in Asia Pacific & Japan. Goh has more than 20 years of IT industry and sales experience helping grow companies including EMC, AST, Dell and Iomega. Goh was also a member of the Republic of Singapore Airforce. He holds a bachelor of science degree in Information Technology from the National University of Ireland, Dublin and an executive certificate in Management and Leadership from the M.I.T. Sloan School of Management. 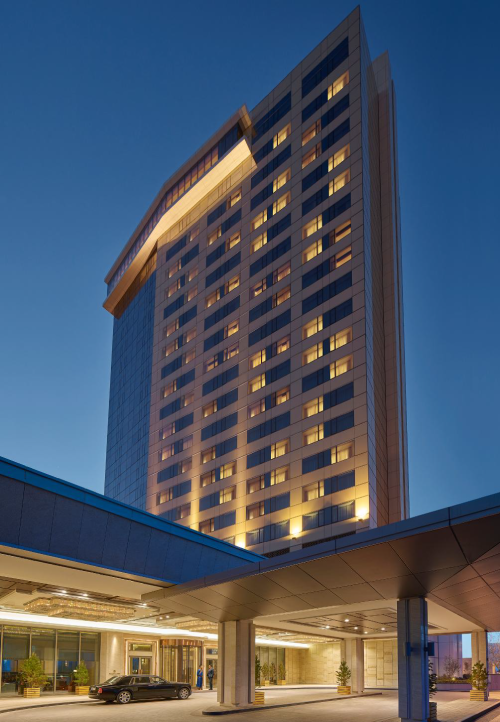 Recognised as the only leading 5 star Hotel and located at the heart of the city centre, Shangri-La Hotel Ulaanbaatar is a dynamic hotel with extensive facilities. The hotel is an integrated part of the Shangri-La Centre which also the location of the Shangri-La Mall, a prime location for a wide range of shopping, dining and entertainment. The mall offers a variety of fine dining establishments as well as a food-court with international cuisines. 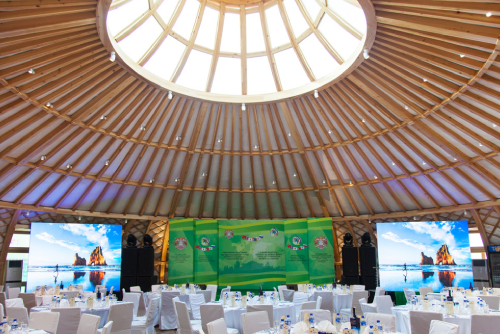 ASEM Village – a unique conference experience in an authentic Mongolian Ger! 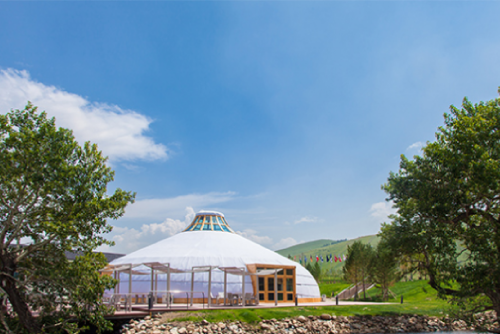 The ASEM Village is located in the most tranquil and the least polluted area of Ulaanbaatar, Khurkhreen Am. The entire complex consist of villas, outdoor sports courts as well as Mt. Bogd Golf and Country Club. Within the vicinity, is the magnificent Mongolian Great Ger which last year hosted leaders from 53 countries for the 11th ASEM SUMMIT. The ASEM Ger, which can accommodate up to 350 people, is the perfect venue for our ConnectGov Leader Summit, providing delegates with a unique conference experience like no other. Mongolia’s annual Naadam Festival is a centuries-old tradition that dates back to the era of the great Khans and their dynasties. 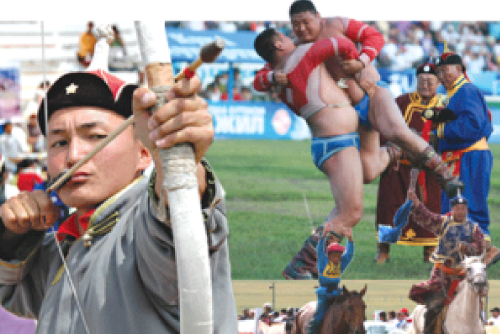 Wrestling, archery and horse racing—the three skills that Chingis Khan considered essential for any Mongol warrior—are showcased at the country’s largest celebration of the “three manly sports”. Even though the Summit delegates will not be able to experience the full Naadam festival (unless those who opt for an extended stay), specially organised Mini Naadam will be featured as part of the overall programme. 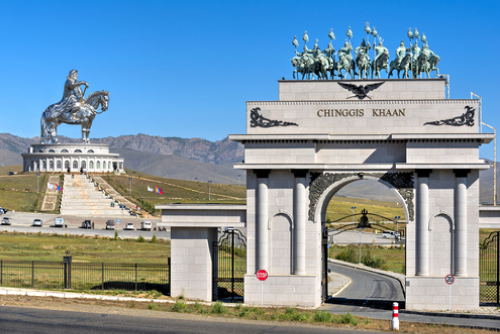 The Genghis Khan Equestrian Statue, part of the Genghis Khan Statue Complex is a 40-metre (131 ft 3 in) tall statue of Genghis Khan on horseback, where according to legend, he found a golden whip. Visitors walk to the head of the horse through its chest & neck, where they can have a panoramic view. The attached museum has exhibitions relating to the Bronze Age & Xiongnu archaeological cultures in Mongolia. Next to the museum is a tourist & recreation centre which covers 212 hectares (520 acres). Grand Chinggis Khaan Square (previously known as Sükhbaatar Square) is the central square of Ulaanbaatar. 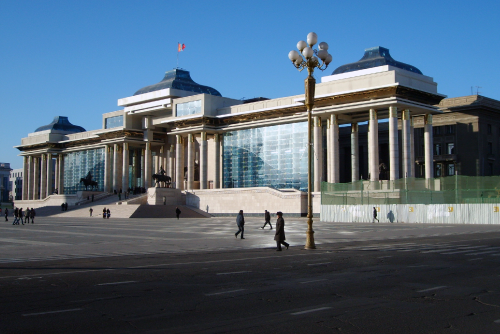 A large colonnade monument to Genghis Khan, as well as to Ögedei Khan & Kublai Khan dominates the square’s north side directly in front of the Saaral Ordon (Government Palace). The centre of the square features an equestrian statue of Damdin Sükhbaatar, one of the leaders of Mongolia’s 1921 revolution. Today, the square is still the scene of major state ceremonies, cultural events & exhibitions.